Changing output across India in the agricultural fields is opening up new opportunities for farmers, throwing up an opportunity for the food processing industry to finally emerge from the shadows. Five consecutive years of fruits and vegetable output being higher than food grains has contributed to the silent revolution in the country’s agricultural fields. Given the way higher output of fruits can help farmers and create a new eco-system for processed fruits, we are calling it the circular economy. The farmer will be at the heart of the circular economy and each stage of the ecosystem will feed into the next, which finally ends with the farmer benefitting at the end of the entire activity. India has one of the lowest per capita beverages consumption. That is why, at Coca-Cola India, we believe that since the food processing industry is still going through its early days, intervention at various levels could help change consuming habits and reduce wastage in a big way. Coca-Cola’s Indian arm procures nearly 200,000 tons of fruits annually, the largest buyer of fruits in the country. This includes the Indian farmers’ horticulture produce worth Rs. 1700 crore that is being exported to its plants around the world. Because of the scale of its purchases, Coca-Cola and its partners can help make interventions at various stages to drive the circular economy at its first step. Procurement may be the least of the issues that worry the farmer. The intervention at the farm could be done in a variety of ways. Coca-Cola’s Project Unnati, in partnership with Jain Irrigation, is already helping farmers multiply the number of crops per acre of cultivable area. Several farmers are now benefitting from the proven agricultural method, called Ultra High Density Plantation (UHDP). The crop, under UHDP, bears fruits in 3-5 years against eight years under the traditional method. Jain Irrigation has also helped farmers perfect the drip irrigation method, which requires far lesser water for cultivation. With six years of UHDP experience behind it, Coca-Cola could look to increase its purchase of fruits. With the circular economy that is being conceived, the acquisition of fruit could go up sharply. Increased acquisition of the companies will definitely give the farmer options to expand into new categories. More fruit pulp is already finding its way into the beverages made by Coca-Cola. Minute Maid Orange Pulpy, with fruit pulp, has now been around for 10 years. Its mosambi variant was launched last week. Fanta has added a fruity orange flavour, which has 5.3 per cent fruit juice mix. Fanta green mango variant has a 10 per cent fruit juice added to it. Add new categories and variants to that and the circular economy will get bigger with more companies becoming a part of it thus the new categories need not be in the juices category only. Some fruits which are considered delicacies in select local markets could also be procured and processed in that region, fuelling the circular economy in a manner not thought of earlier. Increased procurement will need investments at the manufacturing stage. 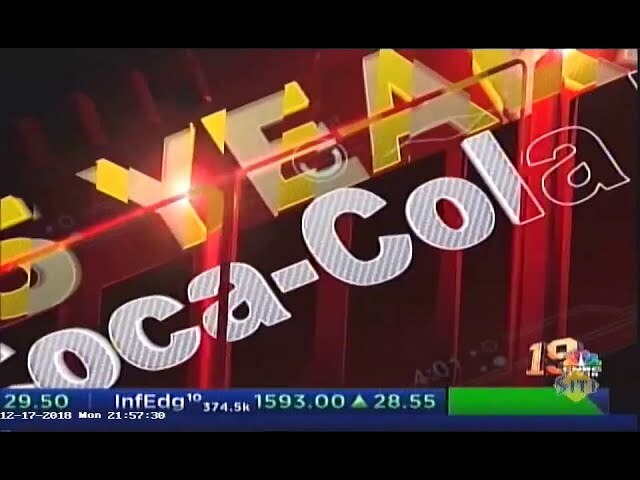 Last week, Coca-Cola announced that it would look to invest nearly Rs. 11,000 crore or $1.6 billion over next five years for its manufacturing operations. New technologies could also be introduced at the manufacturing stage, which could enhance the availability of processed fruits beyond what is now considered its traditional consuming markets. Plants could be upgraded so that new categories of fruits could be introduced. It will also mean higher volume of juice being produced, pushing the need for new consuming markets. That improved availability of fruits could see more investments coming from several companies. Coca-Cola India, along with its partners, could also consider the opportunities that arise due to this because the circular economy for fruits is something that has an opportunity for everyone. For consumers, this is great news because it gives them the option of consuming the fruit in a form that they may not have had before. The circular economy for fruits could get a further shot in the arm with new variants and new categories that could be introduced with the assured supply of fruits. All of these will be driven by the success that the farmer is able to achieve from his efforts. Several institutions associated with farmers will have to be upgraded. Krishi Vigyan Kendras, farmer producer organisation, operating at the village level, and the agriculture universities, could serve as centres of excellences. Farmers’ engagement with these could be enhanced to align their need with the needs of the industry. If the two could work together, these institutions become information centres and one stop shops for all needs of the farmers. Krishi Vigyan Kendras need to promote good agricultural practices and encourage farmers to grow more cash crops and expand to new horticultural products. If industry-ready information can be shared for farmers at these institutions, in a language that he understands, it could be yet another support system which can be set in motion for the circular economy.